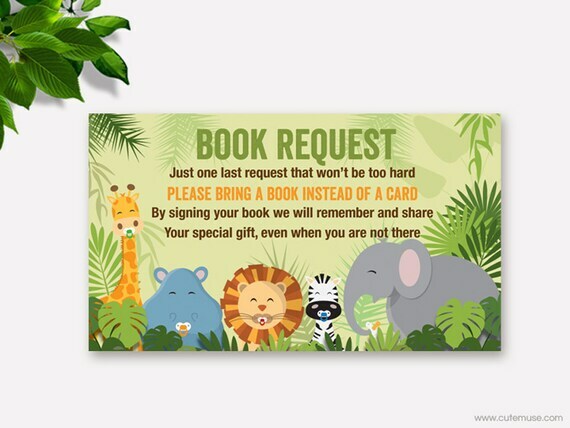 Book Request Printable Card for a 'Jungle - Safari' Theme Baby Shower. This is perfect if you want to build a library for your baby. This design features babies animals sucking their pacifiers and surrounded by the trees and leaves in the middle of the jungle and hanging out with the monkey that is drinking milk. The back of this card is a pattern with leaves. *** This is an INSTANT DOWNLOAD, a non-editable PDF.